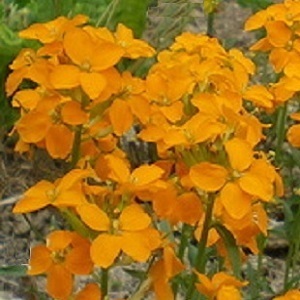 An easy to grow Wallflower, with bright golden yellow flowers from March to May. Plants grow in the year of sowing and then flower in spring the following year. They grow to a height of 30-45cm and look good grown in groups in a border and in containers. Plants have an attractive spicy clove-like scent. Wallflowers prefer full sun and most soil types. They tolerate part shade. Pack of 1g (approx 500) seeds. Sow in spring or summer for planting out into the garden or containers in the late summer or autumn. Sowing instructions and a colour photo are printed on the packet. Sow in spring/summer in moist seed compost at a depth of about 5mm. Keep at around 20°C and germination takes 10-14 days. Plant seedlings into pots when they are big enough to handle, and then plant out into the garden or to their final containers in the late summer or autumn. 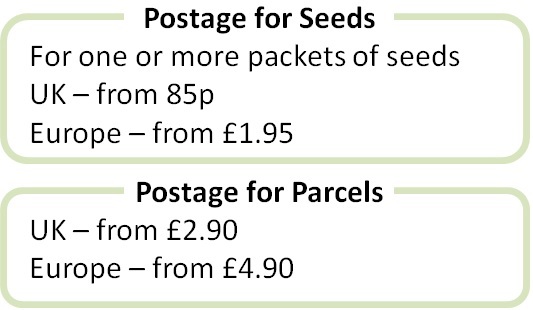 Seeds can be direct sown in the ground or in containers in summer. Grow Plants grow in the year of sowing and flower the following spring. Remove plants after they have finished flowering.